We are inundated with the message to avoid processed food, but what does that mean? It obviously refers to fake food-like substances such as chips and soda, but what else? Here are some things to watch out for. Sweeteners. Any sweetener that has been dried, powdered, and packaged is processed. 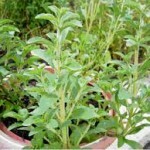 Stevia, for example, starts out as a plant that looks like this. By the time we buy a packet of Truvia or a clear liquid Stevia tincture, it’s processed. Does this mean it’s unsafe? Not in small quantities. But if you’re mindful of portions and don’t have blood sugar issues, you might as well use a whole food sweetener like honey or maple syrup. These hit your blood stream the same way as white sugar would, but they have other nutritive properties, and you’re better off enjoying moderate amounts of real food. Grains. Any grain that no longer looks like it did when it was harvested is processed. This is what wheat starts out looking like. 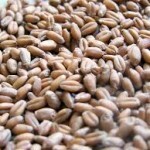 A wheat berry is a whole grain. White flour is processed, and, sorry to say, whole-wheat flour is processed as well. (More on this shortly.) Oat groats are a whole grain. Instant oatmeal and oat flour are processed. Brown rice is a whole grain. White rice has been milled and polished. As blogger Darya Pino Rose points out, we need to distinguish “intact” from manipulated grains. True whole grains are intact and look like they did on the plant they came from. Everything else is more or less processed. Your body gets far better information and metabolic activity from intact grains than it does from bread, pasta, or cereal, even if these are 100% whole wheat or whole grain. Flour is not an intact food; it does not exist in nature. Not to say don’t eat it, but if you want to move to a more whole food existence, bear that in mind. The FDA is characteristically unhelpful (or worse) when it comes to elucidating this topic. As Pino Rose continues, it misleadingly defines “whole grain” as any food in which the endosperm, bran, and germ “are present in the same relative proportions as they exist in the intact caryopsis.” This is specifically not to say that they must exist in their original, unprocessed form! So, e.g., Kellogg’s can, and does, process the hell out of wheat berries and then adds back some powdered processed germ and bran, along with big helpings of sugar and chemical dye, and slaps the term “whole grain” on the box of, say, Froot Loops. Then the FDA classifies Froot Loops as a healthy “Smart Choice.” Ask yourself: Would your great-grandmother have known what to make of Froot Loops if she had chanced upon a pile of them on the kitchen counter? I’m guessing she would’ve thought they were some kind of toy or game. Food? Never. 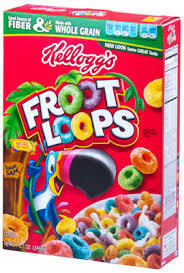 The regulatory calisthenics that underlie the FDA’s classification of Froot Loops as anything other than edible garbage are mind-blowingly corrupt. Juice. Fruit juice is one of the heavy hitters driving the type-2 diabetes epidemic. Pediatricians now widely recommend eliminating it from children’s diets, and it doesn’t belong in yours either. It is very dense in sugar and calories, and the fiber is gone. Take OJ: an eight-ounce serving has more than 110 calories and 0g fiber. A whole orange, in contrast, has about 85 calories and 4g of fiber, which will both fill you up and help your body absorb the fruit’s natural sugars more slowly. Juice dumps the sugar into your bloodstream all at once forcing your pancreas to pump extra insulin—the fat-storage hormone—to mop it up. If you’re concerned about vitamin C, eat foods like citrus, red peppers, leafy greens, broccoli, and kiwi, and you’ll get all you need. Most pre-made dressings. The first red flag should be how long store-bought condiments can live in your fridge. Real food goes bad; fake food can sit on a shelf for years. Instead, consider mincing a clove of garlic, and adding to that one tablespoon of Dijon mustard, 1/8 teaspoon of salt, a few grinds of fresh pepper, and shaking these up in a screw-top glass jar with a half cup each of any tasty vinegar and olive oil. This dressing tastes better than anything you will buy bottled, and it took you about two minutes. 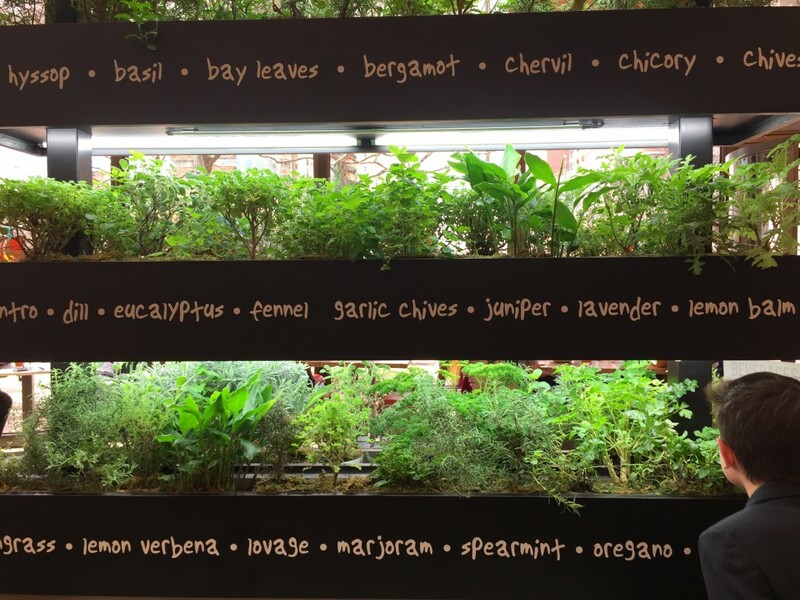 After a week, you make it again, and you can have fun by adding fresh herbs, different vinegars, etc. You want your kids to eat more salad? Involve them in making it, and then set up a salad bar with lots of good toppings. This is how I get my four children to eat–and enjoy—salad every day. I could go on, but I know by now you get the idea. I’ll close by quoting a few of Michael Pollan’s awesome 64 food rules that sum it all up best.